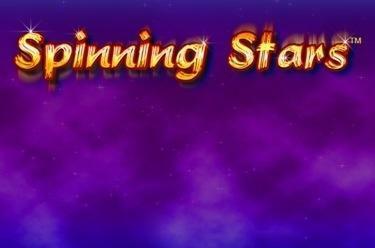 Play Spinning Stars™ online for free now! If you like classic slot machinesSpinning Stars™ is the game for you! 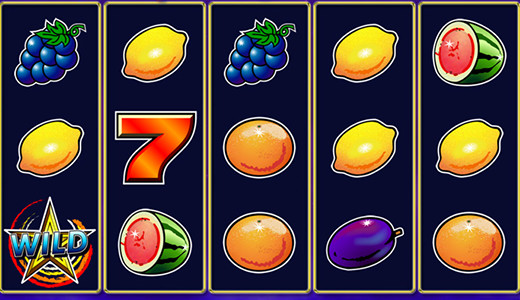 Spinning Stars™ lives up to the name 'Fruit Machine' or 'Fruity' as the slots are called affectionately because this game is all about cheeky fruits! Cherries, lemons, melons, oranges and the Magic 7 are competing for the best spots on the reels. Spinning Stars™ is played on 5 reels and 10 win lines. Ideally you land 5 identical symbols along a win line! But you also win if you land several identical symbols from the left consecutively on a line without bein interrupted. All win lines run in different patterns from left to right across the reels. The 'WILD" Star (Joker) replaces all the symbols and can complement a winning combination if it lands in the right position. 2 'WILD' Stars start the Spin Bonus. During the Bonus Game the symbols on the second, third and fourth reels spin 7x around WILD SPIN STAR and gets your ultimate win.